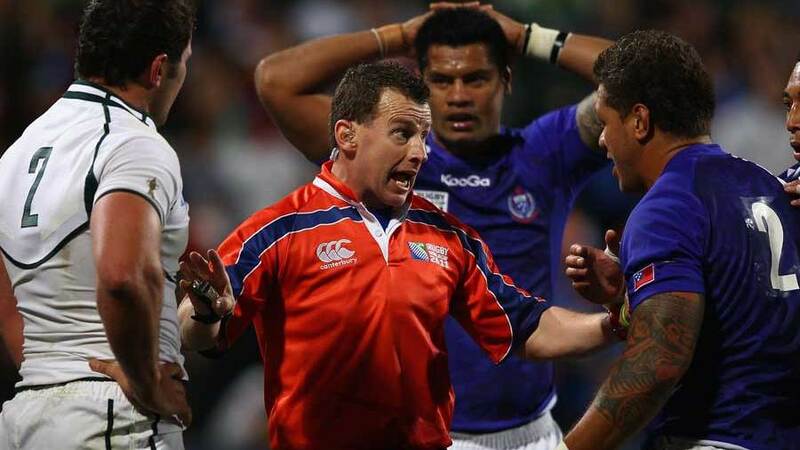 International referee Nigel Owens has thanked rugby fans for their support after he emerged unscathed from an accident on the M4 after Heineken Cup duty at the weekend. Owens was driving back to his home in south Wales after taking charge of the Castres v Leinster encounter on Sunday when the accident occurred between Pyle and Margam. The 42-year-old had been driving home from Bristol Airport. After the accident he took to Twitter to confirm he was 'shaken and sore but ok', while thanking followers for messages of support. Though there are no more details of the crash, it is also confirmed from his tweets that his car was written off in the crash. Welshman Owens, one of the most respected referees in world rugby, is expected to take charge of England's Six Nations opener against France as well as Ireland's clash with Italy.